CALGARY - The welcome wagon is busy at the Calgary Zoo. Officials say the zoo's animal family has increased with the recent arrival of a white black bear, Eurasian wild boars and colourful Himalayan pheasants called monals. Other additions planned for next spring and summer are Komodo dragons and greater one-horned rhinoceros. 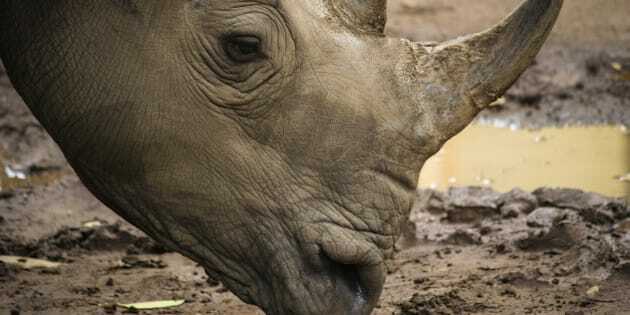 The rhinos are to take over the space occupied by the zoo's elephants, which are being moved in the spring to the Smithsonian's National Zoo in Washington, D.C. The Africa exhibit will also get a boost when several mandrills, or baboons, take up residence in the rain forest area. The zoo was badly damaged by severe floods that hit southern Alberta in June and it only fully reopened last week. Some of the new animals are replacing species the zoo had to move after the flooding. “For several years now we have been exploring ways in which we can improve the well-being of our animals whilst at the same time enhancing our conservation output by adjusting our animal collection to better suit our climate and location,” Dr. Jake Veasey, director of animal care, said in a news release Friday. “As a result of that ongoing process, and in the wake of the flood-related closure of the South American building, we have unfortunately had to say goodbye to a number of species that we weren’t able to continue to keep here. The Calgary Zoo is currently home to 121 species of mammals, birds, reptiles, amphibians, fish and invertebrates. One-third of them are part of a survival plan for endangered and at-risk species.